I can't remember a time where @FightOwensFight and I have been opponents and friends at the same time. But tonight isn't about friendship, it's about opportunity. It is about me becoming WWE Champion. We are in Kansas City, Missouri and your announcers are Tom Phillips, Corey Graves, and Byron Saxton. Shane McMahon is already in the ring and he welcomes everyone to Smackdown. Shane says he would normally be ecstatic about tonight's main event between Kevin Owens and Sami Zayn, but he is not tonight. The winner of the match will face AJ Styles for the WWE Championship at Fastlane. Shane says he feels that Sami and Kevin do not deserve another opportunity but there is someone he respects who does. Shane brings out that man, Daniel Bryan. Shane says Smackdown is the Land of Opportunity. Shane says that they listen to all of you each week and you determine a lot of what happens on Smackdown. When you feel that a superstar deserves an opportunity, it is up to them to give that person an opportunity. Shane says that he does not think that Daniel is listening. Shane says that Daniel keeps giving the same two people opportunity after opportunity. Some might want to see someone else who is deserving go after the WWE Title. Do they want to see Sami and Kevin? Daniel says that the referee made a mistake at the Royal Rumble. Daniel says he decided to make a positive out of a negative. He says that Shane's least favorite people get to battle each other. Daniel says he was expecting a pay raise. Shane says not so fast. Then he says he would love to see Kevin and Sami ripping each other's head off. Shane says he does not like the fact that Daniel keeps giving them opportunity after opportunity for the title. Shane wants to know why is Daniel continuing to give them an opportunity. Shane says he understands what he has done here. You have changed the WWE landscape forever with the Yes Movement. Although you had a similar career path as Sami and Kevin, they are not you. The Yep Movement is a cheap imitation of what Daniel created. Shane says he does not want to allow them to manipulate Daniel any more. More than anything in this world, you would love to compete in this ring. Daniel interrupts and he wants to know what is it that he is doing. Shane says it is plain to see and everyone is seeing it. You are living vicariously through Kevin Owens and Sami Zayn. He says he has traveled more than 10000 miles to defend this title. He has defended the title to the best of his abilities. He can deal with the bumps and bruises. He can deal with the canceled flights. He can deal with being away from his family because he was built for the grind. He says he cannot deal with Management obsessing over Kevin Owens and Sami Zayn. AJ says he is not just talking about Daniel, he is talking about Shane. Every time you make a decision about them, it affects him. AJ says he does not care who he faces. AJ tells them to stay out of the way tonight. AJ says he can handle his own destiny. AJ says he will walk into Wrestlemania as the WWE Champion. - The New Day are playing with pancakes in the back as they are dealing with social media. 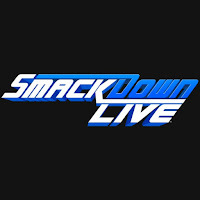 - Still to come, Rusev vs. WWE United States Champion Bobby Roode with the title on the line plus SmackDown Women's Champion Charlotte Flair vs. Liv Morgan in a non-title match. 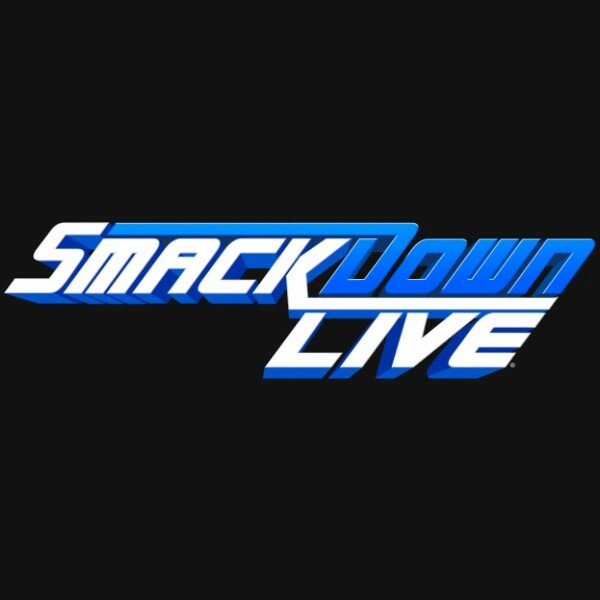 - We go to a commercial, including Mixed Match Challenge promos from tonight's two teams - Goldust & Mandy Rose, Naomi & SmackDown Tag Team Champion Jimmy Uso. - We are back and AJ Styles is walking in the back. He sees Shinsuke Nakamura. Nakamura tells AJ he is going to beat him at Wrestlemania. AJ shrugs it off. We go to the ring and out comes The Riott Squad - Liv Morgan, Sarah Logan and Ruby Riott. We see what happened last week to set this match up. SmackDown Women's Champion Charlotte Flair is out next for this non-title match. The bell rings and Flair goes right to work, taking Liv to the corner and unloading. The referee tries to back Flair off but she keeps at it, right in front of Riott and Logan. They pull Liv to safety but Flair stays right on top of Liv as they go to the floor. Flair stares down Logan and Riott, causing them to back off as we go back to commercial. Liv stops Charlotte as she reenters the ring. Charlotte with a double leg take down and she slams Liv's head into the mat. Liv kicks Charlotte in the corner but Charlotte with a clothesline. Ruby and Sarah check on Liv. Liv returns to the ring and Charlotte with a waist lock. Liv with an elbow but Charlotte with an Irish whip and she misses a splash into the corner. Charlotte sends Liv to the apron and Liv drops Charlotte against the top rope. Liv gets a near fall. Liv with punches to Charlotte and she slams her face first into the mat. Liv with a Japanese stranglehold. Charlotte gets to her feet but Liv sends her back to the mat. Liv sends Charlotte into the turnbuckles. Charlotte with a kick to stop Liv. Charlotte with chops to Liv and Liv goes down. Charlotte with a fallaway slam followed by a boot to Liv. Charlotte walks across Liv's chest and she goes up top for a moonsault but Liv pulls Charlotte off the turnbuckles. Liv with a boot to the back and she gets a near fall. Liv returns to the Japanese stranglehold. Charlotte gets Liv on her shoulders but Liv with a victory roll for a near fall. Charlotte with a neck breaker followed by a spear. Logan gets on the apron and Charlotte with a running shoulder tackle to knock her off the apron. Ruby pulls Liv to the floor and the referee sends Ruby and Sarah to the back. Charlotte sends Liv back into the ring and Liv misses an enzuigiri. Charlotte with a boot to the chest and it is time for the figure four leg lock and she bridges. Liv taps out. After the match, Flair stands tall and raises the title as her music hits. Flair goes to the announce table and says that's 1 down, 2 to go. Flair walks to the back and stops to laugh at Liv, who is trying to recover on the floor. - Tom leads us to a Black History Month video with WWE Superstars visiting the Civil Rights Museum in Memphis. We are back and Renee Young knocks on Kevin Owens' dressing room door. Kevin comes out and he asks if the match will have an affect on his friendship with Sami. Kevin says that is a great question, but she is asking the wrong person. She needs to aks Sami if he can handle losing to him. We go to the ring and out comes Rowan and Harper, The Bludgeon Brothers. Two enhancement talents are waiting in the ring. Th bell rings and Harper immediately nails a dropkick on one of the jobbers. Harper with another big power move. He stares down the other guy, scaring him off the apron. Rowan ends up running over the other guy on the floor. Rowan rolls that guy in the ring with the legal man, who is getting beat on by Harper. Rowan tags in and destroys both opponents. They then hit an assisted running powerbomb on one guy before sending him out to the floor. The other jobber takes the double Crucifix Bomb for the easy win. After match, Rowan and Harper stand tall as we go to replays. We come back and they're headed to the back but the music interrupts and out comes SmackDown Tag Team Champions The Usos. The two teams face off for a second at the bottom of the ramp. The Usos keep walking and enter the ring as The Bludgeon Brothers head to the back. Tom says The Usos are about to lay down their street code. We go to commercial. We are back and Jimmy says last week they came out to let everyone know about Day One-ish. Tonight they are here to talk about being Locked Down. Jey says it isn't about being booked, being told to assume the position, or be on the chaingang. Jimmy says it is a state of mind and they run the prison. A lot are starving and looking real hungry. The hunger for success. Jimmy says you cannot eat until they say you can eat. Jimmy says a lot are sleeping on the Usos. Jey says it is not about bedtime stories. Jimmy and Jey changed their look over the last year. They went from Samoan drops to Super Kicks. They went from Uso Crazy to from Day One-ish. Jey says it is not paranoia, it is the Uce. - Corey has a few questions about the rankings and Byron says it is a popularity contest. - We see The New Day and Xavier is crying about the results. Big E says six is the percent chance he gives Corey in a street fight. Aiden English says there is a reason the ring is covered in canvas because it is where art is made. Aiden says he gets inside your ears. Rusev is a different animal. Rusev screams and then Aiden tells Bobby Roode to get ready to lose his title because Rusev is ready for his magnum opus. Rusev with a machka and we go to commercial. We go to the ring and out comes Aiden English with a song for the next match. He introduces Rusev, who gets a big pop and a "Rusev Day" chant from fans. Out next comes WWE United States Champion Bobby Roode to a pop. We get formal ring introductions from Hamilton. We are back and Aiden English is in the ring. Aiden sings about other holidays but they are stupid, like Kansas City. He sings about how RUSEV DAY is here. They lock up and Rusev backs Roode into the corner. Rusev with a clean break, as is tradition on Rusev Day. They lock up again and Roode backs Rusev into the corner and he gives a Rusev Day clean break but he makes sure it is GLORIOUS. They lock up again and Rusev with a waist lock and take down into a front face lock. Roode with a hammer lock. Rusev gets a near fall. Rusev with a front face lock. Roode with a side head lock and Rusev with a shoulder tackle. We are back and Roode with punches but Rusev with an Irish whip. Rusev runs into a boot and Roode goes to the turnbuckles for a Blockbuster and he gets a near fall. Roode with a chop and he is caught by Rusev and Rusev with a fallaway slam. Rusev with a punch followed by a suplex. Rusev with a reverse chin lock. Rusev sends Roode back to the mat as he holds on to the reverse chin lock and the pressure affects Roode's consciousness. Rusev with elbows to the collarbone and upper chest. Rusev returns to the rear chin lock. Roode punches Rusev and follows with a running forearm and clothesline. Roode with a running clothesline into the corner followed by a neck breaker. Roode goes to the turnbuckles and hits a clothesline. Roode winds up for the Glorious DDT but English distracts Roode and Rusev with a round kick to the temple but Roode kicks out. Rusev with shoulders in the corner and he puts Roode on the turnbuckles. Rusev with more punches and he goes up for a superplex. Roode stops Rusev and Roode with punches to send Rusev to the mat. Rusev with a punch and it staggers Roode on the turnbuckles. Rusev with a superplex. Rusev gets another near fall. Roode with punches but Rusev with a knee. Roode sets for the Glorious DDT but Rusev escapes. Rusev with a knee to the midsection but Roode with a spinebuster for a near fall. English gets on the apron and Roode punches him. Rusev with an inside cradle for a near fall. Roode with a kick but he cannot connect with the Blockbuster. Rusev with a jumping thrust kick and both men are down. Rusev looks around and it is Machka Time. Rusev stomps on teh back and he tries for the Accolade but Roode counters and gets a near fall. Rusev with a rollup for a near fall. Rusev holds on and tries for the Accolade but Roode escapes and hits the Glorious DDT for the three count. After the match, Roode stands tall with the title as we go to replays. We see English checking on Rusev as Roode's celebration continues. Randy Orton hits the ring and drops Roode with a RKO outta nowhere as fans go wild. Orton drops English with the RKO next. Orton gets hyped up as the crowd cheers. Rusev stumbles to his feet but Orton drops him with a third RKO. We go to replays as Orton stands tall. - Chad Gable and Shelton Benjamin talk about the fools and buffoons. They talk about what they have to deal with as they try to revitalize the tag team division. Chad says they have the jokes but they have the punchlines. They talk about how they are coming for The Ascension this week. Shelton and Konnor start things off and Shelton with forearms. Konnor with punches and a back elbow. Konnor misses a twisting elbow drop and Benjamin with a dragon whip but Konnor with a shoulder tackle. Konnor misses a Yakuza Kick when Benjamin moves. Gable drops the leg on the top rope and Benjamin with a flying knee for a near fall. Gable tags in and they kick Konnor and then they both clip Konnor. Gable with a step over knee drop. Gable continues to work on the leg and he gets a near fall. Gable with a single leg trip and he applies a step over toe hold. Gable is given a flapjack by Konnor and both men are down. Viktor tags in and he connects with a forearm and chops. Viktor with an Irish whip and a running Canadian Lifter followed by a knee to the temple off the turnbuckles. Benjamin breaks up the cover and he gives Konnor a spinebuster. Viktor sends Benjamin over the top rope. Benjamin tags in and Gable hits Chaos Theory. They hit the bulldog and power bomb combination for the three count. The New Day are asked about the main event and they don't care who wins. They are asked who would be the highest ranked individually. Xavier says it should be the smartest but Big E says it should be the biggest. Then they say it would be Kofi. Kofi says he would split his pick for both of them. Renee asks Sami for any final thoughts about his match. Sami says tonight is his opportunity to step out from Kevin's shadow. Kevin has won all of the championships, but that is fine. They are best friends. They have fought each other so many times, he knows Kevin. Kevin will stop at nothing, but neither will he. We go to the ring for tonight's main event as Sami Zayn makes his way to the ring. Back to commercial. They lock up and go into the ropes. They lock up again and Zayn with a break. Owens with a single leg take down into a front face lock. Owens with a gentle tap to the chest on the break. They lock up again and Owens with a side head lock and shoulder tackle. Zayn with arm drags into an arm bar. Owens gets to the ropes and Zayn taps Kevin on the head. Owens with a waist lock and Zayn with a standing switch. Owens with a back elbow to the jaw. Zayn with a double leg take down and he punches Owens. Kevin goes to the floor to regroup and get Sami to calm down. Owens returns to the ring and Zayn with a double leg take down and punches. Zayn knocks Owens off the apron as we go to commercial. We are back and Owens with chops. Zayn with punches. Owens with a knee. Zayn springboards over Owens and they go back and forth with kicks and then Owens with a clothesline. Owens with forearms and chops. Zayn with a kick and then Owens blocks a kick and flips Zayn. Owens with an enzuigiri and shoulder breaker for a near fall. Owens tries for a cannonball but Zayn gets up and tries for the exploder into the turnbuckles but Owens blocks it. Zayn uses the turnbuckles for a tornado DDT and he gets a near fall. Zayn tries to put Owens on the turnbuckles but Kevin blocks it. Zayn is able to get Owens on the turnbuckles and he punches Kevin. Zayn sets for a superplex but Owens blocks it. Owens with a punch to the midsection and elbow to the top of the head to send Zayn to the mat. Owens goes for the senton but Zayn gets his knees up. Owens rolls to the floor and Zayn goes to the floor and he dives through the ropes and hits a tornado DDT. Zayn sends Owens back into the ring and Sami sets for the Helluva Kick. Zayn runs into a super kick and Owens goes up top for the frog splash and he gets a near fall. Owens slaps Zayn and tries for a pop up power bomb but Zayn lands on his feet. Zayn with a half nelson suplex followed by a Blue Thunder Bomb for a near fall. They go to the floor and fight in front of AJ. Kevin falls to the ground when Sami tries to pick him up. Zayn yells at AJ and he wants AJ to look at him when AJ turns away. Styles pushes Zayn into Owens and then he punches Owens and Zayn. The referee calls for the bell. After the match, AJ continues the attack and he hits a pescado. Daniel Bryan comes out and he has an announcement to make. Due to the superlative performances of Kevin Owens and Sami Zayn and the outside interference by AJ Styles, both men will face AJ Styles at Fastlane in a Triple Threat Match. Kevin and Sami have some words as we go to credits.